Superior Software. The name to any Beeb-geek says it all. The most powerful force in the BBC Software scene, who bought out Acornsoft, and ended up putting almost everyone's software on their infamous 'Play it again Sam' titles! Superior began very early - I believe around 1982 (anyone know this for definite?). In my opinion, most of their early games did nothing positive for the BBC games market. Games like Pontoon were highly limited. Other games like Fruit Machine, Darts, Neutron, and Boris in the Underworld, were questionable at best. 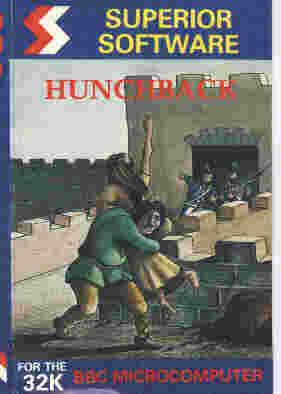 However, there were a couple of exceptions; Hunchback for example was a very good conversion of the classic arcade game. By 1984-1985, Superior were really getting the hang of things. 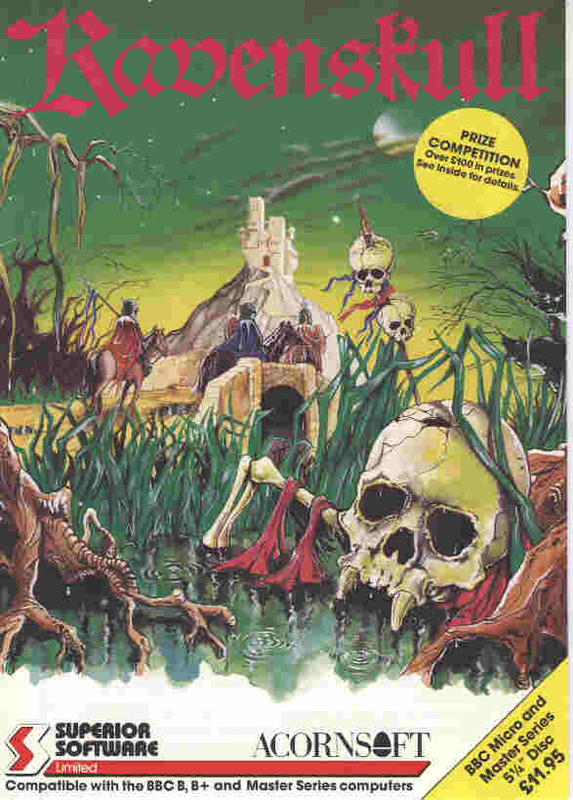 Games like Repton and Citadel revolutionised the BBC games market. Enhancing on the scrolly, arcade/adventure style, Superior produced other succesful games like Ravenskull, Bonecruncher, Repton 2, Repton 3 and all the expansions. If anything, they flooded their own market, producing too many titles with similar gameplay and not enough originality. Superior bought Acornsoft in late 1985; and in 1986, Superior/Acornsoft released a revamped version of Elite with enhancements for the BBC Master, enabling the whole game to be loaded fully into memory. The new Elite release included additional missions, different sound effects (I use different as many people -- including this writer, thought the original sound was much better) and faster, better graphics. Towards the end of the 1980's Superior released Exile -- a very impressive futuristic, space platform adventure game. The graphics pushed the BBC to new limits; colourful and detailed, they could almost play with the new, big 16-bit machines. The game used Sideways and Shadow RAM and you really needed a Master 128 or better to get the best from it. The problem was that the Atari ST's and Commodore Amiga's were here, and the BBC's time was essentially over -- there was just no way the simple 8-bit 6502 based processor could compete. Exile was ported to both the Atari ST and Amiga fter it had been released on the BBC. The graphics and sound were a lot better, but the gameplay was the same. Superior closed out the 1980s and began the 1990s by producing, it seemed, almost infinite amounts of 'Play it again Sam' releases. As Superior had run out of their own games to put on the disks, they put titles from other software houses on them as well, including some games that were clearly not up to the historically high standard of Superior Software games. Towards the end of 1990 development on the BBC was dead and it was time to wave goodbye to 8-bit computing and move on. All of these game images are still copyright Superior Software and Acornsoft (in some cases). These images are provided so that you do not have to convert your old tape copies over to the emulator supportable disk format. Rather, it's been done for you already. One of the few, early Superior Software games that was actually very good. This was a reasonably faithful attempt at replicating the Arcade game of the same name. It plays quite well and has all the annoyances of the arcade version: pixel perfect timing required, and some frustrating levels. Still, even today it's quite fun to play. Written in 1984 by Peter Johnson, Overdrive was one of the first racing games to hit the BBC Software Scene. The biggest problem with the game was that all of the race tracks were a straight line and if you crashed other racers had a tendancy to crash into you before you could get going again. Even so, it was quite a fun game, and I remember wasting several hours as a kid trying to get past stage 3! I think Tempest may have been one of the first licensed Arcade conversions for the BBC. One of the most impressive things about Tempest was that they got the arcade conversion almost 100% perfect. The opening screen was just like the arcade, and the game actually played just like the arcade! Quite an impressive accomplishment, and one which had previously only been achieved by Acornsoft with Meteors, Planetoid and Snapper. This showed that Superior could do arcade games, and even license them too! Citadel changed Superior Software's fortunes quite substantially. It was an excellent graphical adventure and puzzle game. With over a hundred different screens, good graphics and great gameplay, Citadel was destined to be a classic. 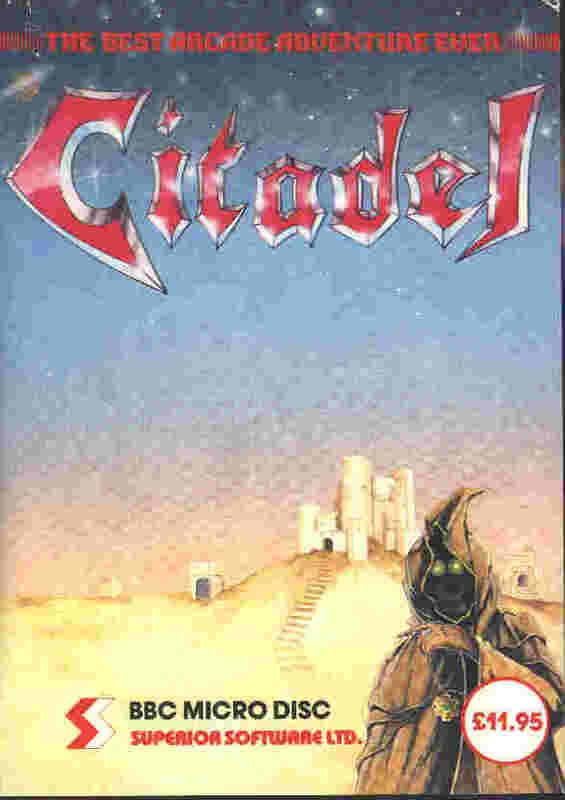 The object of the game was to escape the great Citadel. You achieved this by solving various puzzles, opening doors with colour coded keys, and generally being brainy. It's still very playable - go ahead, download it! I think Ravenskull was the first BBC game which let you choose your character to play. You could be a warrior, wizard, elf, or adventurer. The differences between the characters were mild, but nonetheless, it was a new concept for BBC games. Ravenskull was an ambitious, top-view, sideways scroller which had your chracter exploring the many levels of Castle Ravenskull. There were keys to pick up, doors to unlock, and puzzles to solve. 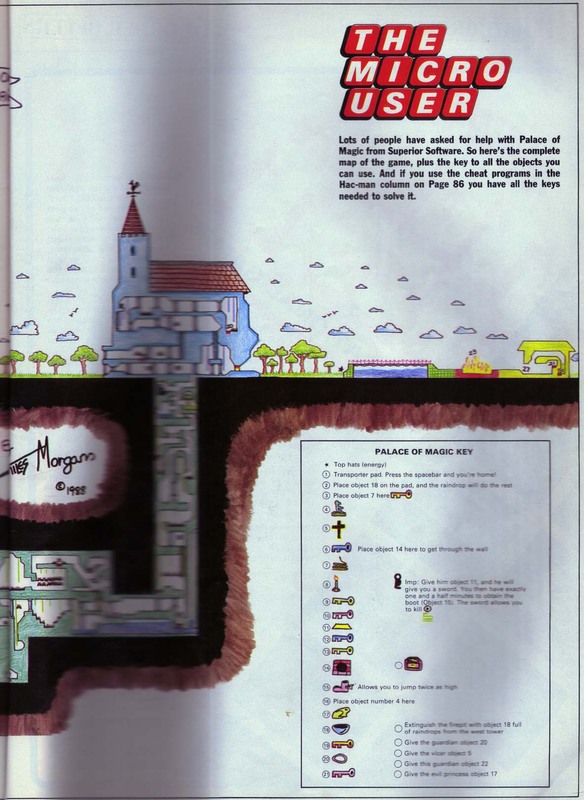 There were several levels to learn, and many frustrating puzzles. The graphics were okay, and the sound was bearable. The biggest problem with Ravenskull was that it was just a bit too monotonous, and that led to boring gameplay. Interestingly, the game machanics and playability became the basis for many future Superior games. Well, unless you've been living under a rock for the last fifteen years, and have never even heard of a BBC Microcomputer, you probably know all about Repton. The game that put Superior Software at the top of the Software Scene. Some people have said it was simply a rip-off of Boulderdash, but to people that played it, it was much, much more than that. A brilliant game with great sound, and amazing gameplay. Another good quality conversion from Superior of the Arcade Game Gravitar by Atari. Released around the 1985 time period, and using precise physics models, you must descend into various planetary cave systems and rescue an Orb. Blocking your path are various obstacles, including guns, doors, barriers, etc. The graphics were okay, the sound acceptable - what made this game was the realism. Using acurate physics meant that trying to get the orb out of some of the tighter caves was a blast - literally! Highly recommended! You can also play Thrust on your PC - go visit the Thrust Deluxe to download. Strykers Run raised the bar again for sideways shooters on the BBC Micro. You play the part of Commander Stryker, and basically have to shoot everything in sight as you make your way through the levels. Superb graphics for the time, and great gameplay put Strykers Run into the BBC Classics Hall of fame. The ability to fly a helicopters added to the overall fun. Superior also produced an enhanced version for the BBC Master/B+'s. Again, from the 1985 period, this was Superior's answer to the Galaga type games which were rapidly sweeping across Video Arcades everywhere. 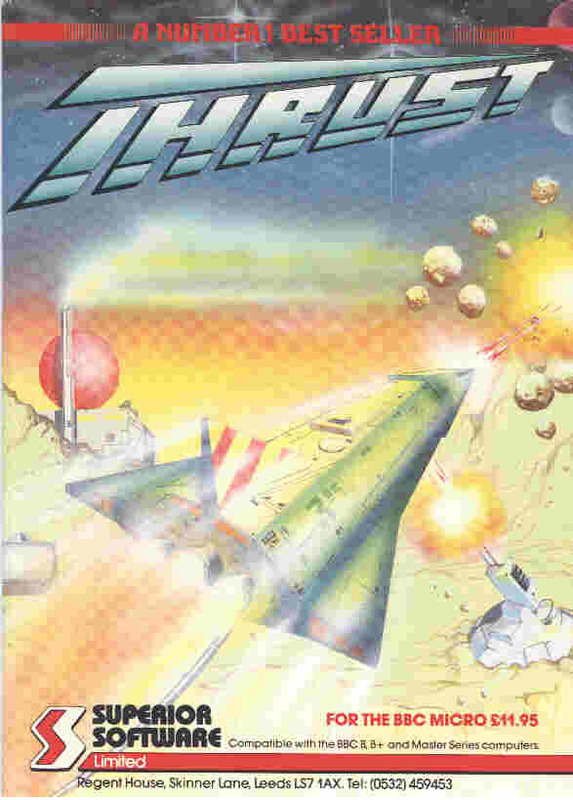 Varied level design, good sound and reasonable graphics gave this shoot em' up some longevity. It is good, but overall though, it's a shooter, and just a shooter. The lack of any end level boss people kindof let down the game. Possibly the best of all the Repton games, if you discount the originality of the first one. 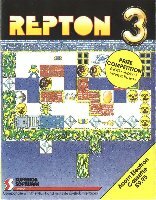 Although Repton 3 didn't really introduce anything that wasn't already in Repton 2, it did bring all those features into a level based environment - unlike Repton 2's giant sprawl. The ability to create your own maps, and load new data files greatly enhanced the games longevity. Indeed, repton 3 also greatly enhanced Superior's bank account, as a whole succession of add-ons were released. A brilliant game. A game along similar lines to Citadel. Using over a hundred individual sreens, this great platform adventure had you once again playing a guy who spends most of his time finding keys, solving puzzles, opening doors, and bribing wizards! In my opinion, this game was tougher than Citadel, with some downright frustrating screens and puzzles. The graphics are similar, but perhaps slightly better than Citadels, with better sprite resolution. The sound, like many of these games, is at best average. 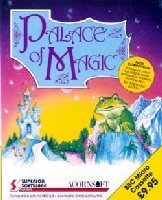 A lot of people who liked Citadel were disappointed with Palace of Magic lack of originality and limited gameplay. 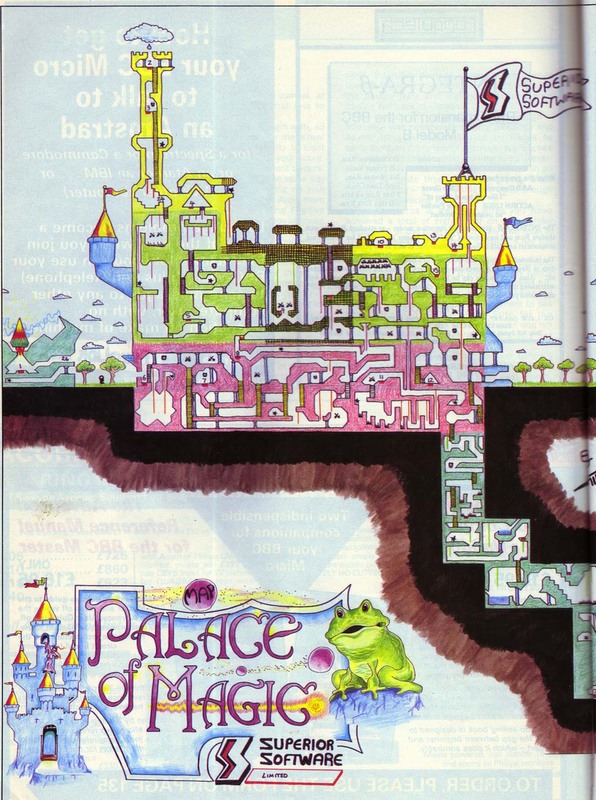 Type in: *PALACE to run the game once you have downloaded it to your emulator. Codename Droid: Strykers Run, Part 2. Released in 1987-1988 (can anyone confirm? ), this was a sequel to the Strykers Run game. Using better graphics, and a multi-level environment, you reprised your role as Commander Stryker, mission: kill everything. In these games, the plot didn't really seem important. Codename Droid added new features such as item manipulation, flying jet-pacs, and end of level bosses. In my opinion, this game was one of the last decent, original Superior releases (exclude Exile) to be released for the BBC. It was around this time that the Atari ST, and Commodore Amiga began taking over the games scene, and the BBC was becoming long in the tooth and it's days were now sadly numbered. I have to admit, when they released Sim City for the BBC I was already using an Amiga. Compared to the Amiga and PC version of Sim City, the BBC one was pretty awful. The graphics were crude, and the color was overpowering in the wrong sort of way. But this wasn't the magic of the game - playability was the magic of Sim City. The game was also amazing on the BBC for pure technical reasons. The fact that it was compacted into less than 32k of memory was unbelievable. Think about that for a second. A PC game which uses hundreds of kilobytes of memory, compressed into a program using less than 32k. And remember that this version had all the features you wanted: budget, roads, power, police, and more. Incredible. Exile was released on 5.25 inch disk in December 1988 -- just in time for christmas. It was to be the best arcade adventure on the BBC, and it was an excellent game. I have to admit, I never actually played the game due to how late in the BBC's history it was released. I have since played around with it a little and for the BBC, it really IS good. The game idea itself is brilliant, and the graphics are great. It makes use of sideways RAM. If you don't have any, you'll see a very small viewing screen. Although Exile was released very late in the life of the BBC, it still sold very well -- suprising for a home computer over eight years old! However, Exile probably marked the end of large-scale development for the BBC, and there were no big projects after it. Exile as a game has lived on since the BBC release; it was ported first to the Amiga and Atari ST, and more recently there was a project to port the game to the now defunct Archimedes. Proving more than anything else that Exile lives on, the guys over at Ovine by Design have just released their remake of Exile for the PC. See it and download it free here. There are two versions of Exile, the original and a version that allows you to cheat which is called 'Exile Alternative (Exilealt)'. Both of them really need Sideways RAM to work, so use an excellent emulator like BeebEm or BeebWin. Repton 2 - The sequel to Repton, and like so many sequels, not as good as the original. Repton 2 introduced transporters, 'blind beasties', and a giant puzzle. The game was way too difficult (can you say impossible?) to complete without cheating. Pipeline - Interesting sideways scroller game where you have to escape from Jupiters moon Io. The levels are huge. I was never a big fan, but other people tell me it's incredibly addictive and a lot of fun. Spellbinder - Superior Software takes on Ultimate with Spellbinder - and loses miserably. 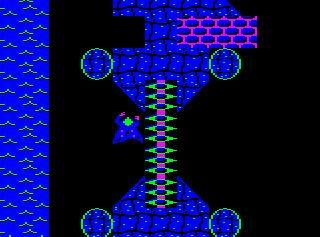 An odd, ZX-Spectrum type adventure game where you play a wizard who hobbles around various, scrolling two-colour screens. 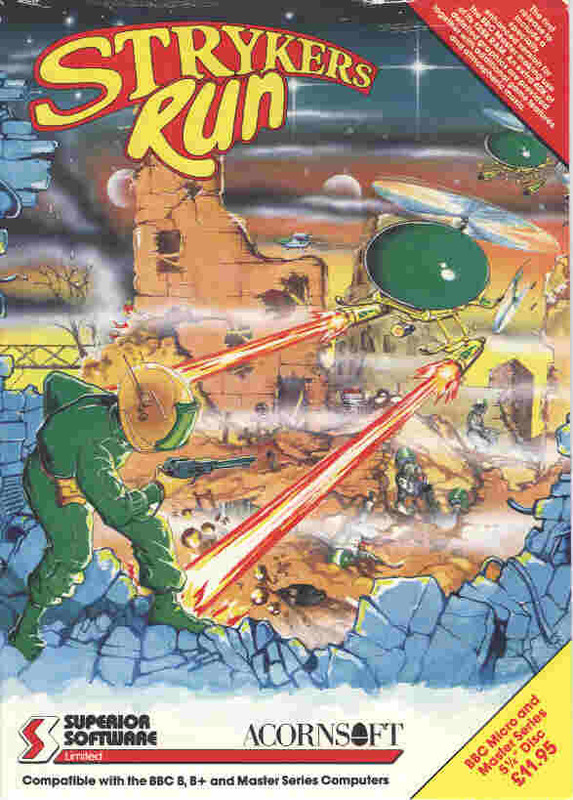 Certainly not one of Superior's best games, but it was very popular at the time it was released. Barbarian - An average conversion of the popular game which was originally released on the Commodore 64. One of the earlist hack-n-slash games which eventually led to the birth of Streetfighter, Fatal Fury, etc. Poor graphics and Mode 5 colours lead to a disappointing viewing experience. Crazee Rider - Nicely put together Motorbike racer. Decent music, reasonable graphics and better than average gameplay made this arcade racer one of the best on the BBC. 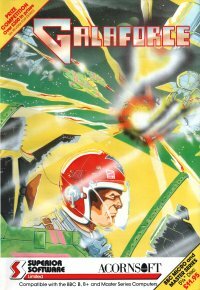 Deathstar - A Peter Johnson arcade conversion of the Williams game Sinistar. Almost arcade perfect, this was an example of how well the BBC could replicate fast paced, action arcade games. Quest - Another multi-screen platform, puzzle adventure. This one has more interaction than games like Citadel, with you tapping into computer screens, and using your jet-pac to get to tricky areas. The biggest problem with this game again were the very difficult, and ultimately, very tedious (and therefore boring) puzzles.